In From the Fellows posts, rabbinical students offer reflections and insights as they consider the impact of their field experience on their formation as people and as future religious leaders. 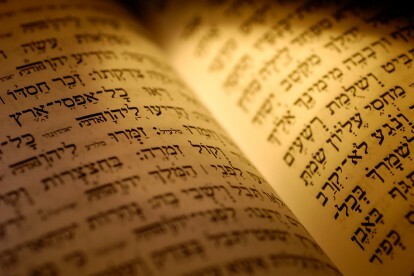 Jewish Sources posts provide a foundation for understanding what makes service sacred and what transforms work that is worthy into work that is holy, by reflecting on possible connections between service and texts from the Jewish tradition. From the Director posts raise issues that transcend a particular service-learning project and propose connections to paradigm shifts in contemporary culture. Collegial Voices posts promote a conversation about developing religious leaders across generations and institutions. Our audience is anyone involved in the preparation of religious leaders or interested in shaping their own religious leadership after this model. The journal invites articles from teachers, students, and clinical supervisors, as well as leaders and members of religious communities that reflect experiences with sacred service-learning. To submit a proposal for an article or for inquiries about the journal, please contact the managing editor, Dr. Angela Roskop Erisman. The Jewish Foundation of Cincinnati Fellows Program is an advanced sacred service-learning curriculum that trains rabbinical students in sacred service-learning through classroom study and field work internships at Jewish institutions. The program is directed by Rabbi Jan D. Katzew, Ph.D. and hosted at Hebrew Union College-Jewish Institute of Religion‘s Cincinnati campus. HUC-JIR is the intellectual, academic, spiritual, and professional leadership development center of Reform Judaism.